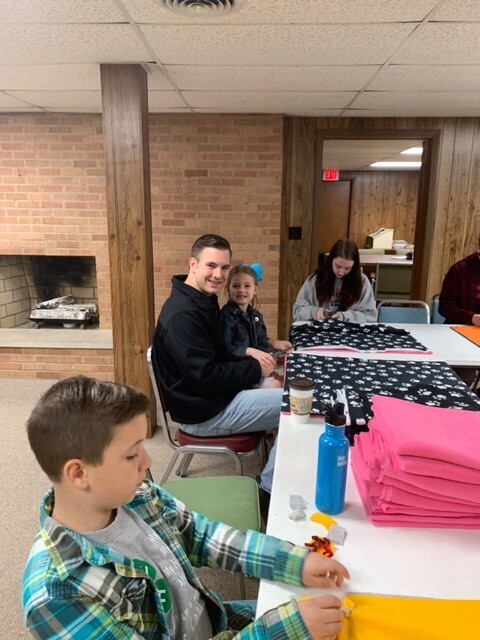 Representative David Allen Welter, R-Morris, enjoyed volunteering at the Grundy County 4-H service project on Friday. The team made dog and cat toys and blankets to benefit Grundy County Animal Control and the Just Animals Shelter in Mazon. Welter is a strong supporter of 4-H programs and local youth in Kendall, Grundy, LaSalle and Will Counties.